When you have a pre-existing condition, it suddenly becomes more difficult to get health insurance coverage, but what about life insurance policies? It’s true that life insurance companies can deny people for a variety of reasons, but fortunately, there is coverage available for nearly everyone, regardless of any pre-existing conditions. What Conditions Affect Life Insurance Rates? While it’s not impossible to obtain life insurance with a pre-existing condition, it does complicate things. And while many conditions may not affect your rates or coverage much, there are a few conditions that do. Here are five medical conditions that affect life insurance rates the most. Whether you have a diagnosis already or merely a family history of heart disease, this can raise your life insurance rates significantly. Although adult-onset diabetes (Type II) can often be managed with medication or diet, Type I often requires more intervention and has more far-reaching impacts. For that reason, people with juvenile diabetes—Type II—can expect to find higher life insurance rates. You may even face difficulty finding a company to insure you in the first place, though it’s not strictly impossible. A cancer diagnosis can impact life insurance coverage rates, but it will ultimately depend on the type of cancer you had, the status of your treatment, and the severity of the condition overall. Some more minor cancers may not impact rates, such as treatable skin lesions. Many life insurance companies set parameters for acceptance into their programs, and your weight will likely be a consideration. But weight ranges vary by company, so you’ll have to do some research to determine what the best coverage is and what company is likely to accept you. For people with chronic asthma, it can affect life insurance premiums. However, those with seasonal allergy types of asthma won’t have to worry about additional costs. Fortunately, even with one or multiple of these pre-existing conditions, you may still qualify for the life insurance coverage that you want. However, it may take some extra research and effort. It’s possible to find a reasonable deal on life insurance even with a pre-existing condition. However, it can be time-consuming and there are a few challenges to overcome. To that end, here are a few tips for finding the best life insurance rates despite more “expensive” conditions. Rather than going with the first life insurance provider you find, be sure to do your research ahead of time. Find out what materials you may need to apply to a life insurance program—such as a formal diagnosis letter, a list of prescriptions, or recent physical results. Make sure you have plenty of information that accurately documents your condition, including treatment. This way, you’ll have all the answers that providers may ask for. Navigating life insurance policies is difficult enough but add in a pre-existing condition and it becomes even more complicated. That’s why finding an agent is ideal to get the best rates. An agent can help you gather information from a selection of companies, delivering the details to you so you can decide on the best policy for you. You can even look for an agent who has experience obtaining coverage for people with your condition. This way, you have someone with unique knowledge about the process and can offer better odds of success. Although it’s tempting to lie about a pre-existing condition to get better life insurance rates, there are no guarantees when it comes time to cash out the policy. For the best results, you should aim to provide all the necessary information to your agent and life insurance company. Shopping around is essential when you have a condition that limits your coverage options. You may feel tempted to go with the first provider that agrees to cover you, but that’s not always a great idea. Different companies evaluate conditions in their own way, so while a long list of companies may decline coverage, a handful will offer agreeable terms and pricing. With some pre-existing conditions, you may not be able to get some types of life insurance coverage. Fully underwritten policies, for example, can mean tons of medical information and exams, which may result in denial due to your condition. Other policies and benefits may not be available to you because of the type of condition you have, so it’s important to read the fine print—or consult with someone who is familiar with multiple policy types. Also, be wary of guaranteed acceptance policies which may accept you but may also limit your coverage, charge high premiums, and deliver reduced benefits. The more information you provide during your life insurance search, the better your odds of finding a policy that’s the right fit. This means consenting to medical exams, questionnaires, and any other information-seeking tactics the insurance company may have. 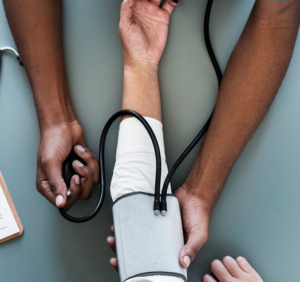 By going through a full medical exam and providing your condition information and history, you may even find that you qualify for better rates. That’s because the more information the company has, the more they can view you as a person first rather than labeling you with a condition. For example, if you have diabetes but manage it with low doses of medication and have routinely “average” blood sugar numbers, this could work to your benefit. After all, you have much lower risk than someone who requires significantly more medication and has numbers that are regularly off the charts. If you need medical history information, a letter explaining your condition, or any other preparatory materials to obtain coverage, your doctor is the best resource. While you hopefully have a good rapport with your doctor already, it’s nice to know you have someone to contact for important information and who can easily send documents where they need to go.